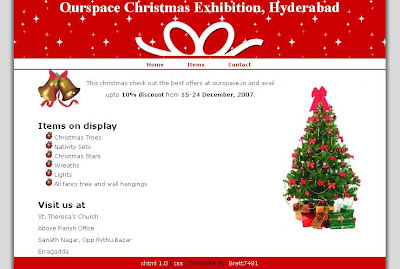 For the second year running we are conducting the annual Christmas sale at St. Theresa's Church at Erragadda, Hyderabad. This year we are back with a lot more variety. We have also been able to get Crib sets which was requested by a lot of buyers last year. So if you are in and around Hyderabad please do visit our sale. Also spread the news among your family and friends about the sale. Check out the Christmas Sale website that we have put up.